Brush the peach halves with the coconut oil, then sprinkle with cinnamon and nutmeg. Lightly dampen a paper towel with olive oil and wipe a grill pan or iron grates on an outdoor grill; preheat over medium heat. 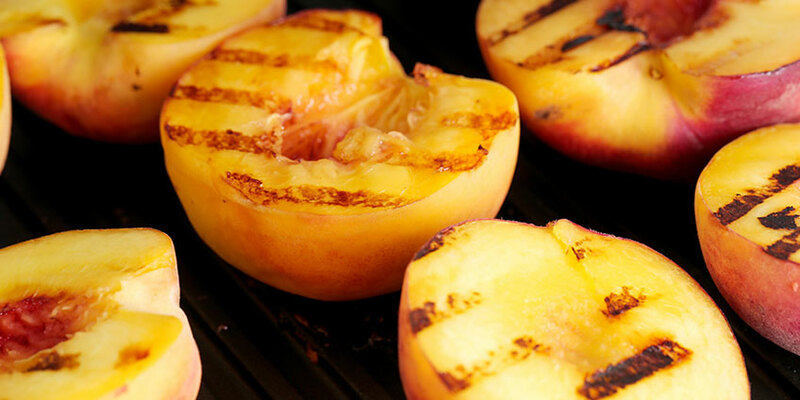 Add the peaches, cut side down, and cook until well-marked. Then turn and cook on other side until warmed through and tender, about 3-5 minutes per side.